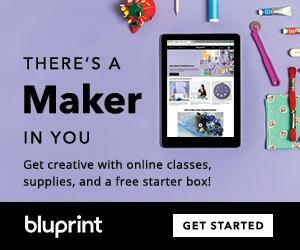 How to create handmade greeting cards is easy. 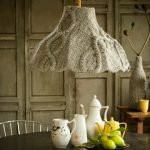 Here is one technique for you: embroidery. 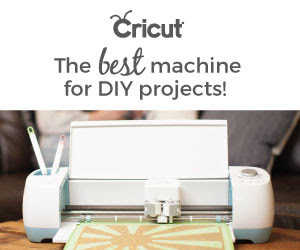 I bet you already have all that you need to make your own hand-stitched greeting cards. 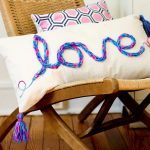 You will find that paper embroidery can be done in a mum of time, and it is a fun project to take along with you to take advantage of those stolen moments. To get you on your way here’s a DIY tutorial for handmade baby announcement cards. 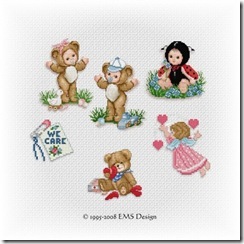 It is a video showing you how to hand stitch a greeting card. It is a simple pattern, and the video shows you all the steps involved. Pattern for Gift Box to punch – Download our free bib embroidery pattern or choose free hand stitching baby pattern from other sources below. Cork board or similar, for punching holes in card. OK. This video has shown you the basic technique involved. Now let’s get creative and make your own. 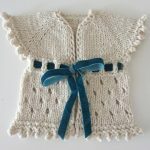 I promised the day before yesterday in my photo birth announcement article that I would do a give away today, and I designed this cute baby bib embroidery pattern for you. Like it? 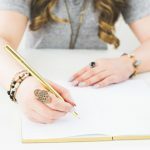 If you sign up for the newsletter (see menu bar on the right), you’ll be led to my website area where I store all my free patterns, designs and tutorials that I have been giving away. 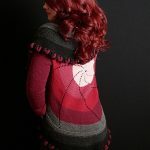 The pattern comes in 2 versions: one featuring the B/W lines that you could hand stitch. And the other design, shown here, is colored in. This is my kind of line drawing that is just perfect for card making. 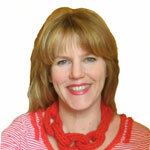 And, as you can see, with some fabric quilting around the embroidery design, it works well as a wall hanging too. It’s simple, unique and happy. The maker of the blue elephant is Corinne, from SoSeptember.blogspot.com, and I am very happy she did, as this is my favorite by a long shot. 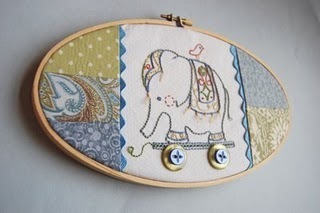 Click the link for the free embroidery pattern for this darling blue elephant. 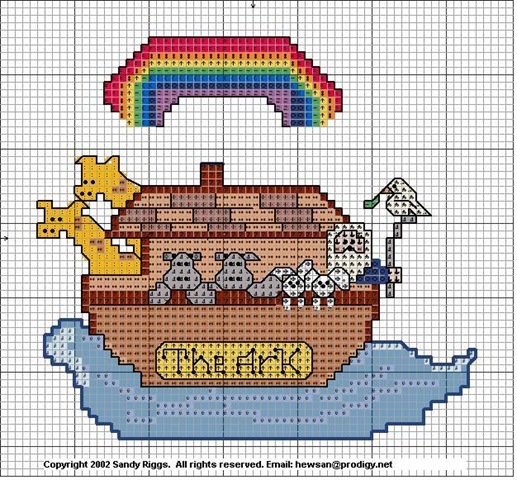 The Ark of Noah cross stitch pattern is one of several cute free Baby Cross Stitch Patterns from Bev’s Country Cottage. 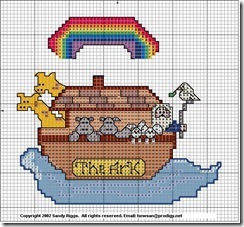 Personally, I would simplify the ark to use it for a card, unless it goes to someone really special who would keep and frame it. Baby Duck and other Baby themed Embroidery Patterns by Ellen Maurer-Stroh. 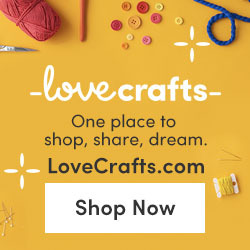 Click "Free Patterns". There are quite a few embroidery designs here and many are rather detailed. Really lovely, but perhaps too much work for a baby announcement card. One option is to outline some of the designs, rather than make them filled with color. Up to you. 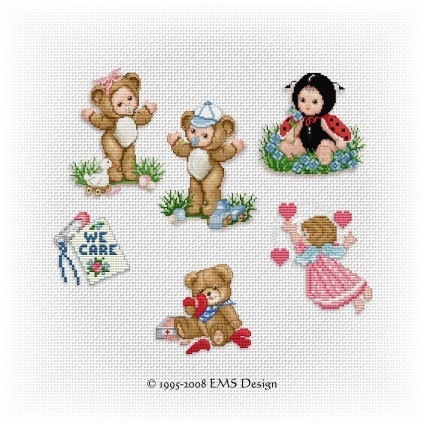 Sweet & Easy Baby Designs by Carrie from Free Patterns Online. Baby Bear. 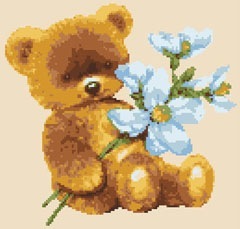 A sweet baby bear holding flowers from Alita’s Designs will be a great addition to a baby’s room. 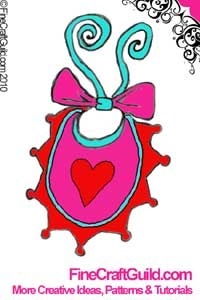 You can print these design out and use pin the paper on top of your fabric and start stitching away. 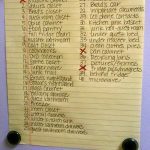 You can remove the paper later. Or you can trace it first on thin tracing paper and use that instead of your regular printing paper. It depends a bit on the design. Another way of transferring the design onto your ‘canvas’ is to use a special pen whose ink washes out, or chalk. I suggest you start with something simple, that you really like. 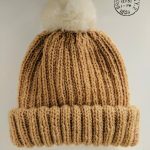 Wow….its lovely Patch work i really like it…..Completely Machine embroidery Patch work i like it simply………..
WOw..what a cute idea and you make it look so simple. I love making cards so I’m going to give this a try. Thanks so much!